The eight-story building will replace the current 1970s-era building. 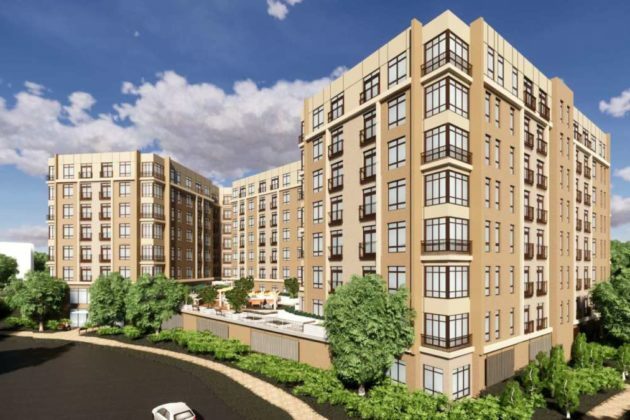 For-sale, market-rate townhouses will help finance the senior housing project. 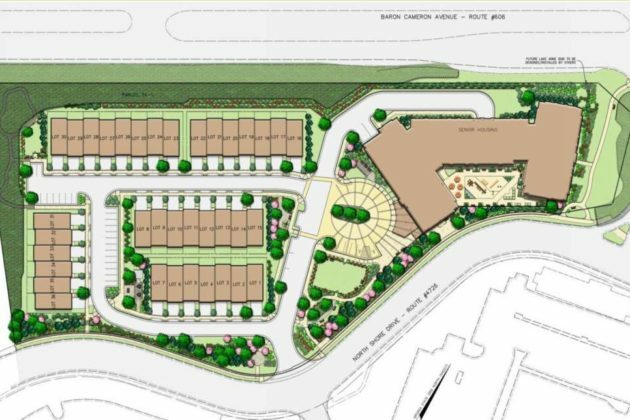 The modified site plan incorporates more open space than previous plans. Tweaks to the redevelopment proposal of the Lake Anne Fellowship House will head to Reston Association’s Design Review Board for consideration on September 18. 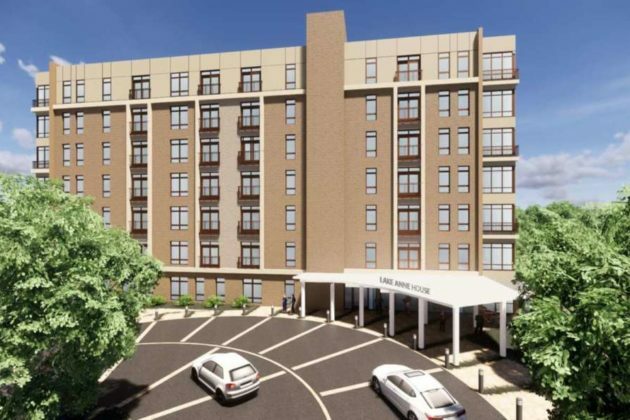 The plan calls for redeveloping Lake Anne Fellowship House, an affordable housing community for seniors on North Shore Drive, into a new, eight-story, multi-family building for seniors. The 240-unit building will include a crafts room, community gardens, and a garage. A terrace will overlook North Shore Drive. The remainder of the property will include up to 72 market-rate, for-sale townhouses to help finance the senior housing construction project. 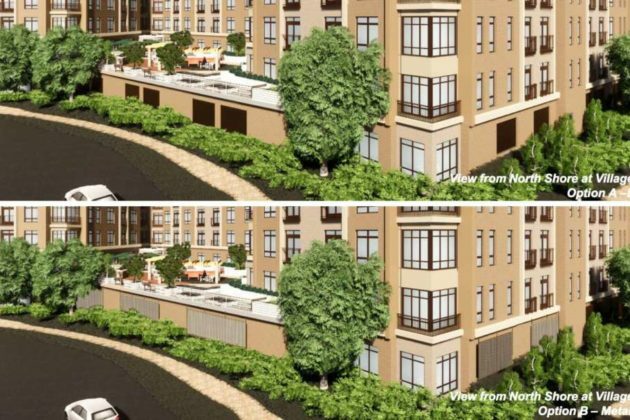 In July, the DRB suggested a series of changes, including redesigning the southeast corner of the multi-family building away from North Shore Drive, redesigning the building’s parking garage, rethinking the placement of a row of townhouses away from North Shore Drive, more landscaping, and more contemporary architecture that uses flat roofs, rooftop terraces and metal canopies. Fellowship Square Foundation and the Community Preservation and Development Corporation redesigned the multifamily building by shifting the parking garage from the base of the building to allow for more landscaping and further distance from North Shore Drive. The garage wall will be screened by louvers or metal panels. 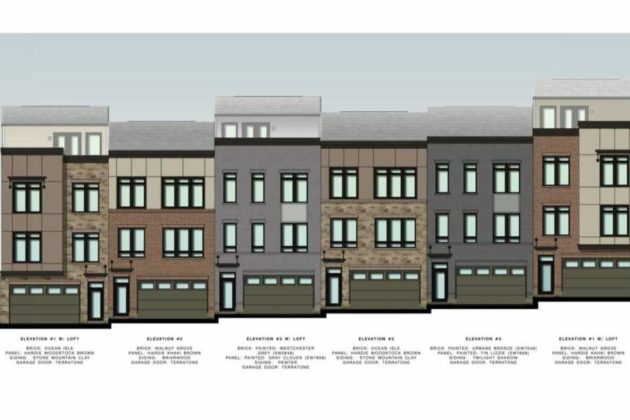 To address concerns about the placement of two rows of townhouses, the applicant plans to increase the space between some rows by three feet. Architectural designs will also include more modern and contemporary elements. The meeting is set for 7 p.m. at 12001 Sunrise Valley Drive in the conference center. The project will go before the county’s Planning Commission on October 4 and the county’s Board of Supervisors on October 16.